Funky channels in the snow. They generally follow the fall line. 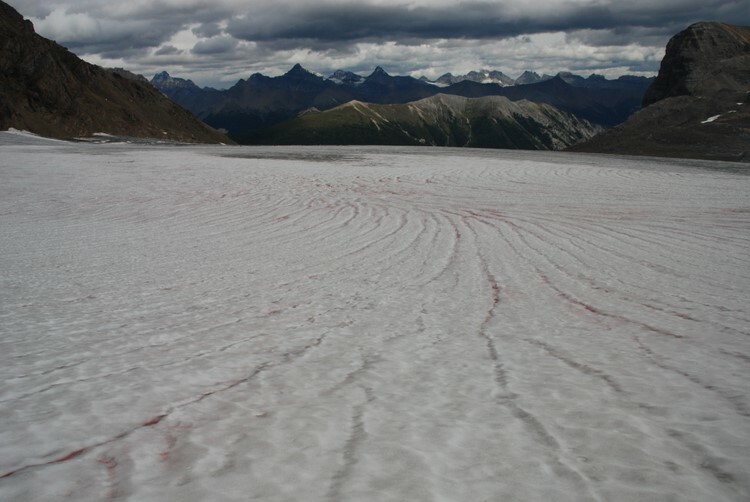 The pink color comes from green algae that live in the snow and turn red when they die (as the snow melts and exposes them to the harsh sunlight at the surface).